It’s lambing season! 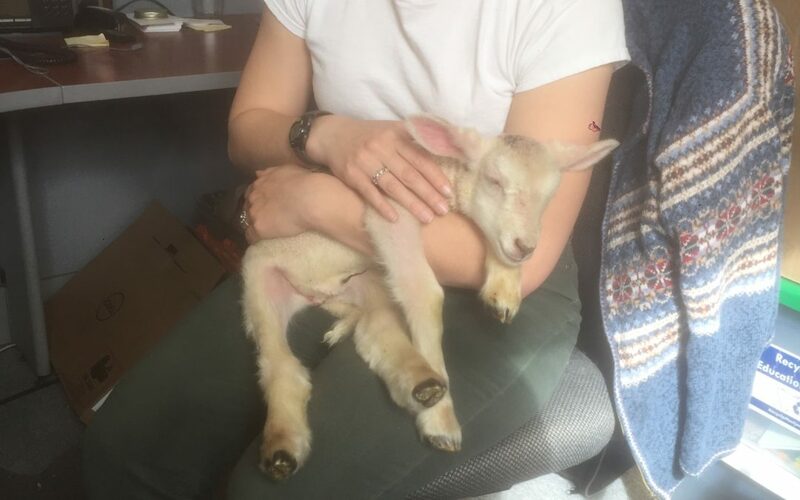 NCAT’s livestock specialist, Dave of Montana Highland Lamb, brought this 2-day old guest to the office today. Our energy core members are enjoying giving this critter her first bottle feeding experience!